Star Wars Imperial Assault: General Weiss & AT-ST (Mechanical November ’18) | Azazel's Bitz Box. And now, the final one of my three Walkers from Imperial Assault is finally completed! This model is sold as “General Weiss” and serves as a replacement for the card token supplied in the core/starter box. Of course, most people using Weiss in their games would simply use the full-sized AT-ST supplied in the game. I suppose, unless the Imperial Player needed both the AT-ST and Weiss’ Custom variant. We haven’t faced this thing yet in the campaign, but it’s certainly kitted out for war, with quite a lot of gun-bling bolted onto the sides. 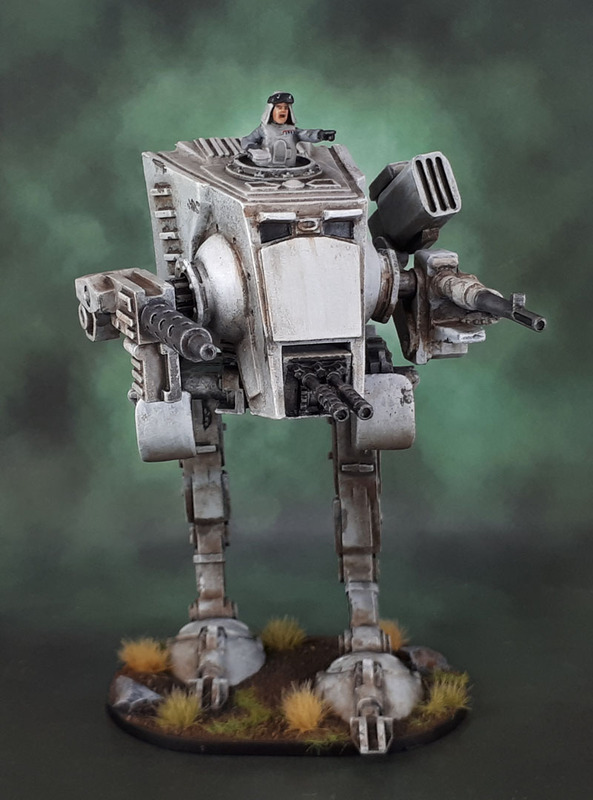 As with the other AT-ST that I painted a couple of months ago and the AT-DP I finished a few days ago, I went for “Endor/Temperate” style basing on this one, because consistency. Of course, it’s not entirely ideal when other imperials have “indoor” bases and others down the line will need to have snow basing, but I guess that’s the thing when you;re going for model-appropriate basing rather then unified “army” basing as I’d do for something like Warhammer 40k, or Bolt Action or even a fully-fledged wargame like Star Wars: Legion. it is what it is! As with the aforementioned AT-DP, this was something I started a few months ago after the initial AT-ST, then it stalled, then I planned to finish the pair of them for Dreadtober but didn’t manage to touch them with a brush, so I’ve finally gotten them done now for Mechanical November. A couple more down, uncountable more to go! This entry was posted in Board Games, Star Wars and tagged AT-ST, General Weiss, Imperial Assault, Star Wars. Bookmark the permalink. Nice one once again. If you ever lose your day job, I’m sure the Empire would enlist you as an AT-* painter! I’m curious what that box-shaped thing is above the gun in pics 1 and 2. The openings are too thin for missiles, but also doesn’t look like it would project energy either. Curious if you end up finding out what that is. Base-wise, yea, sounds like a dilemma for most miniatures. About the only solution would be to magnetize them to different bases, but that would be quite a pain. On an upcoming mini, I know that it’s going to bridge different environments, so I’ll be adding bits from both to tie them in. I’m not sure how you place the tufts on your bases, seemingly random, but they always work really well. I *believe* it’s a missile pod, despite having slits rather than holes (because game artists often don’t understand how weapons work), though in-game Weiss simple has a card listing attacks and which dice to roll unlike a Warhammer game that lists distinct weapons and their profiles. For “proper” miniatures, I just pick a theme and stick to it, but with this being a boardgame, I’m willing to be a bit more flexible/less consistent. More seriously, I can see them being sort of like smaller versions of Tau Drones. Or their Seeker Missiles, actually. Those are usually pretty flat. Oh yea, disc shaped missiles would work. Guess it could be shooting out disc shaped mines too. Either way, have fun fighting that one, haha! LOL!! Mmm, dark chocolate and raspberry pop tarts….. Even as an American, they seem weird. That’s got to be the ultimate definition of weird, then! Weirder things came out of America in the 60s than just Pop-Tarts. Another lovely job. The regular AT-ST is unpleasant enough to go up against, with that things extra armarments it looks down right horrific. I have a feeling we did actually encounter General Weiss and… The model does not seen over the top, I’m reasonably sure we died in that one. Looking h forward to seeing what other vehicles you work on now that your AT-ST’s are finished. Thanks mate – much appreciated. We came up against an AT-ST, which we “defeated” by staying indoors and out of its way from memory while completing the overall scenario objectives. I’m certainly not looking forward to meeting Weiss. Next up on the mechanical theme there’s something completely different to post in a couple of days, then a bunch of 40k options, depending on what I can force myself to complete(!) First I want to get the community challenge post finished. Just spent an hour bolting links and images together, so time for a break and then back to it later on this evening. Come to think of it, I’ve got that Imperial Assault Repulsor tank out there that I haven’t started on, perhaps I should try to get that done as well this month? That would be cool, but I guess that depends on on if you would rather be completion it and get the starwars stuff out of the way or save it for later to keep things interesting. 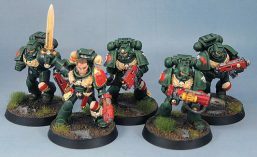 Personally (and not because I play 40k… because lets face it, the says I don’t get to)… I would suggest the 40k stuff. I love the verity in your personal round ups. Also you said “force yourself”… Which sounds like your avoiding them… And what are these challenges for if not to get to work on those projects we’re avoiding! 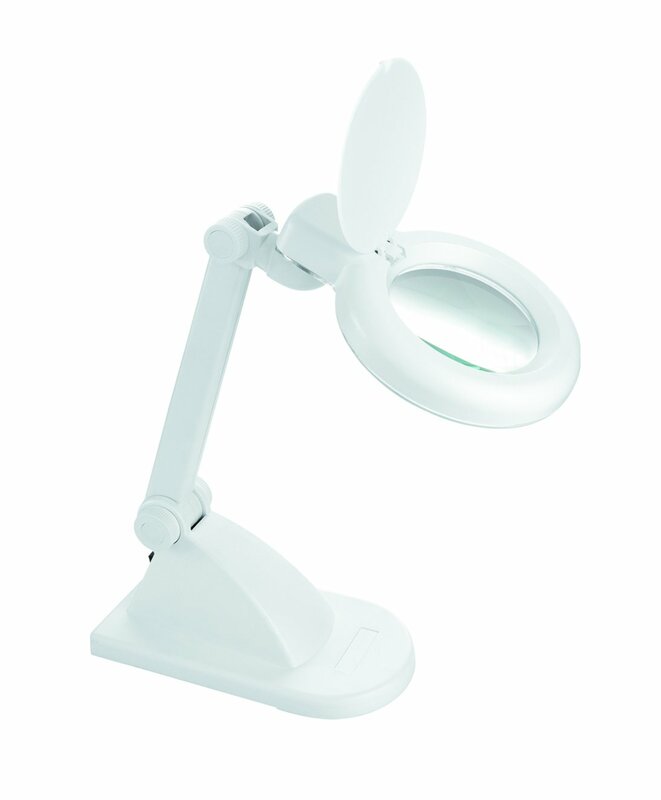 Try for a magnifying desk lamp. I got Marouda one of those. Amazingly, they had them at the local hardware store, and very reasonably priced, from memory. Use these as your “special” brushes, and have some cheapoes for a lot of the “workhorse” stuff. I also highly recommend The Masters Brush Cleaner & Preserver. Just google “The Masters Brush Cleaner & Preserver” and you’ll get a bunch of “how to use” videos. Oh awesome! Thanks man. Now I just need to look up some tips for maintainimg my tools well. brill, pretty excited about getting some new kit. I’m also considering an airbrush at some point. Love to see examples of fine modeling, and this certainly qualifies. I’m a big fan of the subtle work, and this behemoth would take me a while for sure. Thanks Az, great shading and the dry brush work on the guns etc is just perfect. Beautiful work as always! But I am particularly impressed with the paint effect you put on he metal plates especially the upper leg guard the speckling with the what I can only assume is ink gives I a nice weathered look they metal gets from combat from everything from near by explosions flinging rocks and what not to stray bullets hitting he edges of armour! I really like it. it’s easy to got over the top with these types of effects and weathering but it looks solid mate! Thanks VGB! That effect is actually achieved by dabbing with an old, messed up brush with a mixture of black and metallic, then after it dries, a more careful dabbing inside the dark section with a flat, mid-silver (Vallejo Plate Metal Primer). The effect I’m going for is exactly that, though – a bit of battle-wear. Cheers! Nice that sounds way easier then how I do it and mine very look that good ! I splotch black down with a old dry brush and then go over it with a gun Metal with a detail brush. But most of the black shows up a little to aggressively under the metal! Ah, similar to the “official” ‘eavy Metal technique? I’ve done that a couple of times and it works as well. Just sometimes I don’t want to be quite so precise. Also, the “sponge” method works well for more subtle weathering, I find. I’ve been through that issue of struggling with how to do the bases with my Silver Tower stuff. Ended up just splitting it like you did with these. That is quite the arsenal on there. When I first saw it I was thinking it was nearly 40K levels of dakka! I have a Tupperware-ish tub that I keep all my swappable bits in now. Sometimes it gets kind of annoying to find a specific one in the pile, but I know that they’re all in there somewhere, because I never put them anywhere else when they get taken off the Model. Yeah, I’m keenly wanting to start on ST (once I get a pile of this other part-painted crap out of the way) but the basing for it has been on my mind – making models compatible with my usual fantasy games, or going for the trippy ST floor tiles? I’ll probably keep the extra weapons in the little plastic tool-box thing that I keep the dice and cards in. Your solution makes sense as well, though you might need one for each army! Great rendition of General Weiss, been toying with whether or not to get this one, but seeing it with the standard weapons on it as well, I’m more tempted now. Basing can cause many problems with the different scenarios, but as long as your happy that’s the main thing. Well, TBH it’s probably not that important, unless you really need Weiss or you’re some kind of completionist… or you could use another AT-ST.
On the basing, there really is no “good” solution to it for Imperial Assault, excepting perhaps those clear acrylic bases some people use. Could be tricky with the larger, shaped bases of the AT-ST and other similar models, but I’m sure there’s a workaround for it. Very nice mate – that’ll give the rebel scum something to think about! Indeed. It’s a shame they don’t have anything nearly as cool as the Imperial Walkers in the films! Yep, very nice! Good to have the variation in appearance with the figure and extra weaponry! Thanks – that;s definitely a positive for this figure. If it only had the crazy over-the-top weaponry without the option for the normal kit I wouldn’t like it nearly as much. That looks great. A wide array of weaponary too. We were talking at the club last night about basing and different terrain types, some suggested clear perspex, I often go with plain brown as it look OK everywhere but with the cost that it never looks ‘good’ anywhere. Yeah, I find my “dirt” bases look pretty decent on any type of terrain (which is why i went with them originally). They even look okay on snow mats of all things! Oddly it wasa tip I got from the original Rogue Trader rulebook…. I think you’ve jogged my memory, as I (think I) do recall some of those earlier models with the bases just painted a slightly streaky bestial brown from the pre-100 WDs and/or RT book…. Beautiful work, mate! top draw modelling, I too have one of those magnifiers though I could never get to grips with it myself, don’t know why but I found it very hard to judge the distance from the tip of my brush to the model itself so gave up in the end and just got a strong pair of glasses instead! I don’t use it myself. Maybe once or twice but it was useful for the things I did with it (not that I remember what it was now) – but I’ve had a lifetime of painting without it, so my muscle memory and whatnot are very attuned to how I usually work – a big reason those painting handles only get used super occasionally. Marouda on the other hand, even though she paints very rarely (paint those Mummies!) isn’t set in her ways in the same way, so is able to use it much more easily than I am. Very nice to see some more Star Wars miniatures. The hull colour is spot on and I think you achieved a good contrast. The only thing to improve the model would be some weathering and maybe foot steps in the ground made by the walker. Thanks for the response. I don’t think more weathering would “improve” the model, though – it’s much more of an aesthetic choice. I’m happy with the amount of wear on it as opposed to further environmental weathering. I keep it toned down and onto the feet and legs, which albeit are a bit out of focus here. This way the walker is a bit more generic, though the ones in RotJ are hardky mud-spattered up high anyway. Not sure how you think additional footprints on that base would improve it, though? The base is tiny and barely fits the feet that are moulded onto it. Shy of indicating that the walker had been tip-toeing around or perhaps riverdancing, the base is too small for that to be in any way realistic – unlike, say, a 40k Imperial Knight/Dread.etc with their much larger bases relative to the model and it’s literal footprint. I was more thinking about the feet sinking in deeper and ripping the soil open. You are right, that the base is too small for additional footsteps. The weathering is a matter of taste, naturally, and the walker looks good as it is.